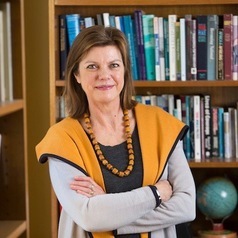 Karen Jacobsen is the Henry J. Leir Professor in Global Migration at The Fletcher School of Law and Diplomacy, and directs the Refugees and Forced Migration Program at the Feinstein International Center. Her current research explores urban displacement and global migration systems, with a focus on the livelihoods and financial resilience of migrants and refugees. In 2013-2014 she was on leave from Tufts, leading the Joint IDP Profiling Service (JIPS) in Geneva. From 2000-2005, she directed the Alchemy Project, which explored the use of microfinance as a way to support people in refugee camps and other displacement settings. Professor Jacobsen’s publications include "A View from Below: Conducting Research in Conflict Zones," (with Mazurana and Gale), and "The Economic Life of Refugees" (2005), which is widely used in courses on forced migration.